Written by Daniel Meyer on Mon, 17 Mar 2014 , under Execution category. 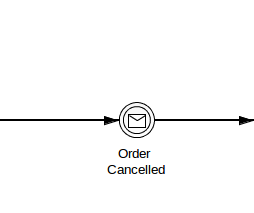 camunda BPM 7.1.0-alpha4 features a new fluent API for message correlation. The API also makes it easy to provide the message payload as a single or multiple variables through setVariable(varName, value). Two process engine commands instead of a single one. This makes it less efficient in terms of performance.